Iced drinks should be expected to contain ice, a California federal judge commented as he dismissed a proposed class action lawsuit that claimed Starbucks put too much ice in its iced drinks. 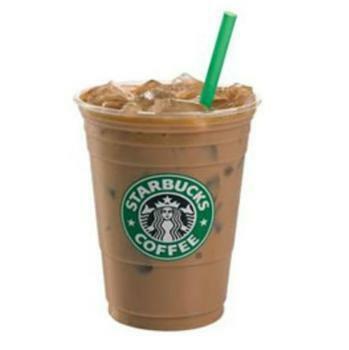 Even children understand that ice displaces liquid, U.S. District Judge Percy Anderson said as he threw out plaintiff Alexander Forouzesh's suit that claimed Starbucks deceives consumers by not filling iced liquid drinks up to the top before adding ice. The issue may not just melt away with Anderson's ruling, however. There are similar suits pending elsewhere. In U.S. District Court for the Northern District of Illinois, plaintiff Stacy Pincus compared Starbucks drinks to gasoline. “For example, if a gallon of gas is advertised as costing three dollars, and a customer pays three dollars and pumps gas, that customer is expecting to receive a gallon of gas — not approximately half a gallon,” Pincus argued in her complaint earlier this year. Starbucks advertises its “tall” drinks as 12 fluid ounces; “grande” drinks as 16 fluid ounces; “venti”-sized cold drinks as 24 fluid ounces; and its “trenta” cold drinks as 30 fluid ounces. But Pincus says in her suit that baristas fill the cups only partway with tea or coffee, then add ice to fill the cup the rest of the way. Pincus argues in her suit that the advertised size of the drink should correspond to the amount of liquid that is poured into the cup before ice is added. “In essence, Starbucks is advertising the size of its Cold Drink cups on its menu, rather than the amount of fluid a customer will receive when they purchase a Cold Drink — and deceiving its customers in the process,” her lawsuit states. Starbucks spokeswoman Jaime Riley told The Washington Post the claims are without merit. Or just utter these two little words to the barista: "no ice."